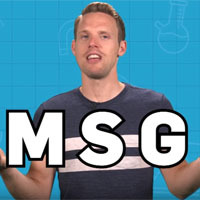 Below are several useful links to resources about MSG benefits, the role of glutamate in food and in the human body, as well as background on umami (the fifth taste). This review by the International Food Information Council includes Fast Facts about MSG and a Fact Sheet which has been reviewed by the American Association of Nurse Practitioners. This article explains that the discovery of “umami” in foods (also known as our fifth taste) has led to the development of many products and ingredients that offer a savory and appealing taste, providing a broader range of options for consumers to enjoy. This review examines the scientific research conducted on glutamate and MSG. The Umami Information Center presents factual and updated information about umami as a basic taste. Go to the Umami Information Center site. including the flavor and taste of glutamate and its nutritional benefits. MSGdish hosts a broad array of information about umami, glutamate, and MSG, as well as tidbits about food, taste and health. Links to media stories featuring MSG and Umami can be found here.